A guide on how to play The Karnival Kid, a Classic Kingdom game in Kingdom Hearts 3. Also included are the controls for the mini game. 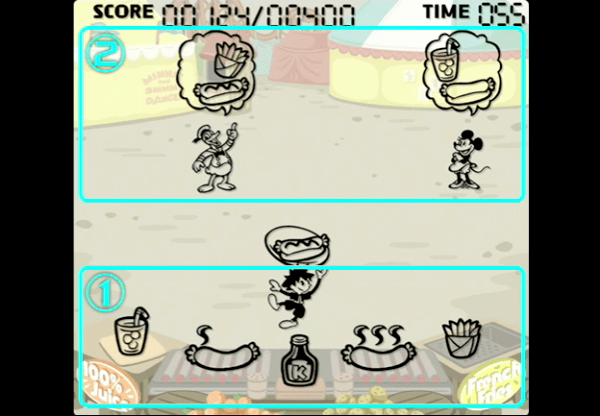 In this mini-game, Sora has to deliver the right orders to customers in a hot dog stand. You can prepare a hot dog by cooking the sausage on the grill. The sausage will be cooked once three smoke icons pop out. You can get either fries or drinks on either corner of the screen. The customers’ orders are seen in the speech bubbles above their heads. Be careful as each wrong order deducts points.